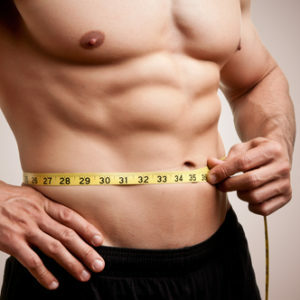 Looking to lose weight the healthy way certainly isn’t easy with all the potential shortcuts available. From gimmicky weight loss tools, crash diets and other horrible advice out there, it can be difficult to find something that both works and does so safely. There are many supplements on the market as well, and some simply are more effective than others. The difference comes down to two main factors: the types of ingredients in these supplements, and the potency of these ingredients. Not only do you have to read the label to make sure your supplement contains all the ingredients you are looking for, you need to go with a company you can trust. Some companies will repackage and use old, degraded formulations that aren’t going to be as effective as ones which were just made. Given the risks and potential pitfalls of the weight loss industry, you should do some research for your own benefit as to which ingredients to look for in your supplements. What Are the Top Natural Fat Burning Supplements? Chromium is a nutrient that our body needs which usually is nothing more than an afterthought as far as most people are concerned. This is because it is a trace metal which we don’t really need too much of, yet still most of us are deficient in. Chromium is linked to reduced risk of obesity through weight loss, however the mechanism to how this works is not yet fully understood. With that being said it doesn’t change the fact that this metal is highly involved in the reduction of adipose tissue, and is an effective weight loss tool. Green tea is well known for its wide health benefits, and for that reason it isn’t too much of a surprise to see it listed here. Green tea helps us to lose weight by providing us with caffeine, a stimulant which helps to boost our metabolism and fat in turn. Green tea also has the added benefit of being loaded with antioxidants, which in turn reduce levels of inflammation. Inflammation is another key factor behind weight gain, as inflammation of tissue produces more of the stress hormone cortisol, a hormone which is also linked to weight gain. The more cortisol in your system, the more stressed your body is, and the more likely you are to gain fat. Inflammatory reduction which can be partially achieved through consumption of green tea is a key component of fat loss. Probiotics are just another term we use for beneficial bacterial, and these bacteria play a huge role in our ability to lose weight. These bacteria line our digestive tracts, and are essential when it comes to digestion and absorption of nutrients that our body needs. Probiotics affect our entire body, including our immune health, health of the nervous system and of course the health of our digestive tract. Research has shown that there is a stark difference between the gut flora of individuals of healthy weight compared to those who are obese, further solidifying our opinion that the bacteria in our guy greatly influences our ability to gain or lose weight. 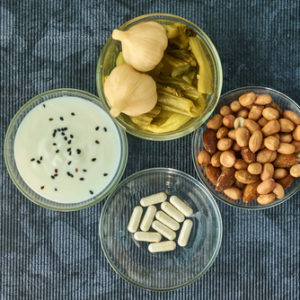 Probiotics can be either taken in a pill form like many other supplements out there, or you can get them through your diet. The foods you want to look for here are ones which are fermented, foods like yogurt, cheeses, kimchi, and other similarly prepared foods. Conjugated Linoleic Acid, otherwise known as CLA; is the name given to a chain of compounds found within the fatty acid itself. This is a type of fat that we must get from our diets, as our body is unable to produce it on its own. The jury is still out on the effectiveness of CLA on its own, however it has shown to be extremely effective in reducing hunger cravings when taken along with supplements like whey protein and creatine. Basically, it works with these other chemicals to stop the storage of fat, which of course reduces the amount of adipose tissue we carry. You can also get CLA from foods as well, as it is found in high amounts in full fat dairy products. This includes items like beef, whole milk, cheese and butter. Basically anything derived from the cow is going to be a good source of CLA.